5-pack: Northpoint Baby Soft Washcloth Set Just $4.99 Down From $23.99! Ships FREE! You are here: Home / Great Deals / 5-pack: Northpoint Baby Soft Washcloth Set Just $4.99 Down From $23.99! Ships FREE! 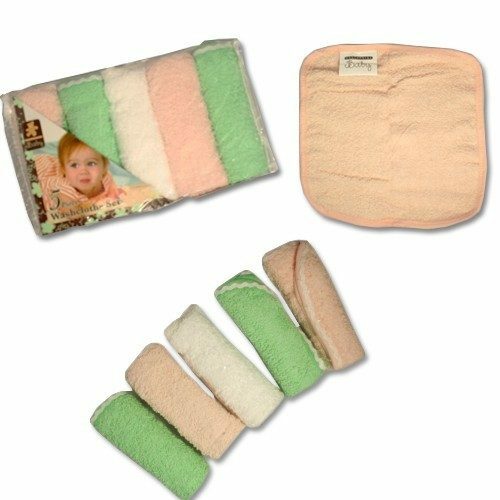 GearXS has this 5-pack: Northpoint Baby Soft Washcloth Set on sale for $4.99 (Reg. $23.99) + FREE shipping! Stock up on wash clothes. With a baby, you’ll need them. They’re 100% cotton, which makes them super absorbent and warm for your little one’s skin. Perfect for wiping any spill or mess you may encounter with your baby! Stock up and order today.